Once called “French cinema’s most beloved psychopath,” Isabelle Huppert is renowned for her provocative, intense, and unsparing performances in films such as The Piano Teacher and Violette Nozière. While beguiling, the “psychopath” moniker doesn’t quite stick: the characters Huppert plays can be murderous or sadomasochistic, but her performances are characterized by an exploration of the darker side of human nature, rather than an exploitation of it. 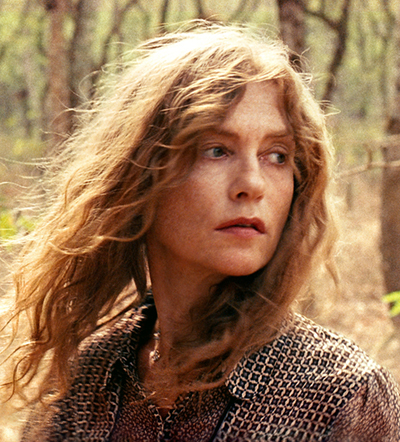 In her latest film, White Material, Huppert plays Maria, the white manager of a coffee plantation in an unidentified African country on the verge of civil war. When most – if not all – of the other white families flee, Maria refuses to leave: a refusal that is either the mark of exceptional resolve or exceptional stubbornness. Eventually her son takes up with child soldiers following a rebel leader known only as “The Boxer,” while Maria, with her deep, mysterious attachment to the land, refuses to acknowledge that the country she has lived in for so long has been irreversibly altered. PLANET spoke to Isabelle Huppert about White Material, her work with renowned French director Claude Chabrol, as well as her recent unexpected appearance in Law and Order: SVU. Of contemporary filmmakers, perhaps only Lars von Trier could claim to be more divisive and controversial than Gaspar Noe. There are the hostile reviews, walkouts at Cannes, and the scene in his second feature, Irreversible, in which Monica Bellucci’s character is savagely beaten and raped — the origin of much of the controversy. But to focus too much on Noe’s reputation is to ignore that he is one of the most gifted, original, and, yes, provocative filmmakers working today. His newest film, Enter the Void, is his most experimental and also his best. Set in Tokyo, much of the two-and-a-half-hour film is shot from the perspective of the disembodied spirit of its protagonist, Oscar, a young American drug dealer who is shot by the police during a bust. The film’s plot, which explores reactions to Oscar’s death, his past, and his arguably incestuous but definitely Freudian relationship with his sister is ultimately less important than Noe’s suggestion that death is the biggest trip. To talk about blasts of light or shaky cameras would blunt the impact of what is, formally at least, one of the most inventive psychedelic films in recent memory. PLANET spoke with Gaspar Noe about critical reaction to his movies, psychedelic films, and one of Enter the Void’s most memorable scenes. Recently, the committee that awards the Nobel Prize for Literature has favored obscure writers that, though talented, have little international reputation or influence. Bucking this trend (and odds that the prize would go to a poet, a Kenyan, or Cormac McCarthy) the Nobel Prize for Literature was awarded to Peruvian novelist Mario Vargas Llosa, a giant of world literature and a major figure in the Latin American Boom of the mid-late 20th century. 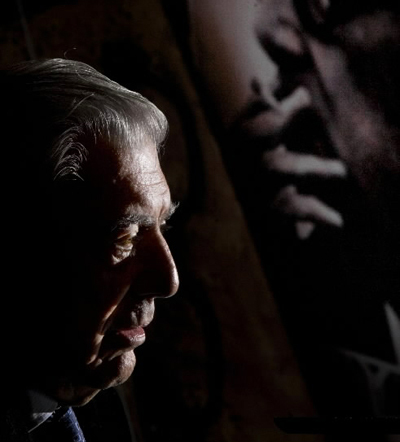 Vargas Llosa was awarded the prize “for his cartography of the structures of power and his scathing images on resistance, uprisings, and individual defeat”. That is unquestionably the most precise assessment of his work you will find. Beyond that sentence, Vargas Llosa is remarkably difficult to define. His body of work is, among both recent Nobel laureates and Boom authors, arguably the most varied. In his novels one can see threads of many of the major literary movements of the 20th century, especially modernism, existentialism, and postmodernism. Vargas Llosa is also notable for his politics. Unlike many other Boom authors — including fellow Nobel laureate Gabriel Garcia Marquez, who he once famously punched in the face — Vargas Llosa soured of the Cuban revolution and its leader in the mid ’70s and has slowly drifted to the political right ever since. After leading a protest against the nationalization of the Peruvian financial system in 1987, he launched a presidential campaign, and endured abuse and death threats, before losing his bid in 1990. The Beats’ place in the popular imagination is akin to Che Guevara’s face on a faded t-shirt: iconic and romantic, emblematic of a myth, not a historical reality. Still, this much is immune from any kind of distortion: the work the Beats produced permanently altered not only American literature and culture, but world literature and culture as well. Somewhere in the process, however, they too were altered. Shortly after the publication of On the Road in 1957, the small circle of beat (as in crushed) writers, hipsters, and junkies became Beatific, a generation with a capital G, caricatures of characters they had created. Transformed into avatars of authenticity, they became legends, but also lost a great deal — namely, a sense of humanity. The epigraph of Jack Kerouac and Allen Ginsberg: The Letters, which comes from a letter from Kerouac to William S. Burroughs, promises to remedy that. 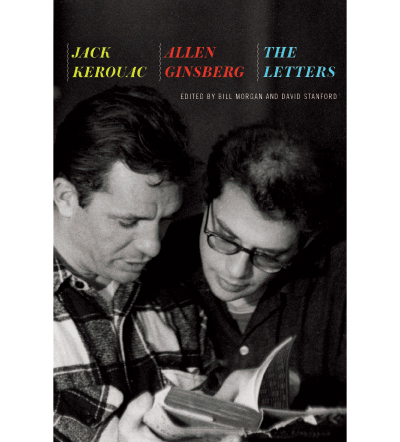 “Someday The Letters of Allen Ginsberg to Jack Kerouac will make America cry,” wrote Kerouac in 1961, by which point he had finally attained the recognition he had sought for so long, only to recoil from the “voice of a generation” moniker that had been thrust upon him. He had been famous for four years, had produced all of his major works, and had all but resigned himself to the fact that he would be unable to quit drinking. He retreated from public life, emerging only periodically throughout the 1960s, his body swollen from drink, to make increasingly reactionary statements about Vietnam and hippies and sit-ins. Claude Chabrol, a founder of the French New Wave movement in cinema, died Sunday at age 80. Though not as well known as his fellow New Wave auteurs, Chabrol produced movies the way Philip Roth produces novels — that is to say, at an astonishing pace and with an astonishing level of quality and originality. Le Beau Serge, released in 1958 (two years before Godard’s Breathless) is arguably the first movie of the French New Wave. 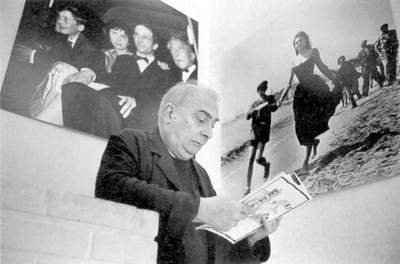 Often overlooked, or worse, dismissed as mainstream — Hitchcock was perhaps his greatest influence — Chabrol’s films were always provocative, thrilling films that resisted the blanket, scornful term “thriller”. Chabrol’s best films — the greatest of which was Le Bucher — erased the boundary between victim and assailant, exposed the tension underlying seemingly idyllic families and towns, and skewered bourgeoise hypocrisy. His final film, Bellamy, was released in France in February of last year. Ever since he stole his first film camera, Werner Herzog has been making strange, brilliant films that blur the line between fact and fiction. His features and documentaries explore grand, elemental, even primeval themes — the nature of madness, the chasm between nature and civilization, and man’s mad ambition to conquer a hostile, implacable natural world. Over the past forty years Herzog has created a body of work that is arguably as powerful and durable as any contemporary filmmaker. His 2009 film My Son, My Son, What Have Ye Done? — a film loosely based on the story of Mark Yavorsky, a grad student who, inspired by Aeschyles’ Oresteia, murdered his mother with a saber — comes out on DVD next month. 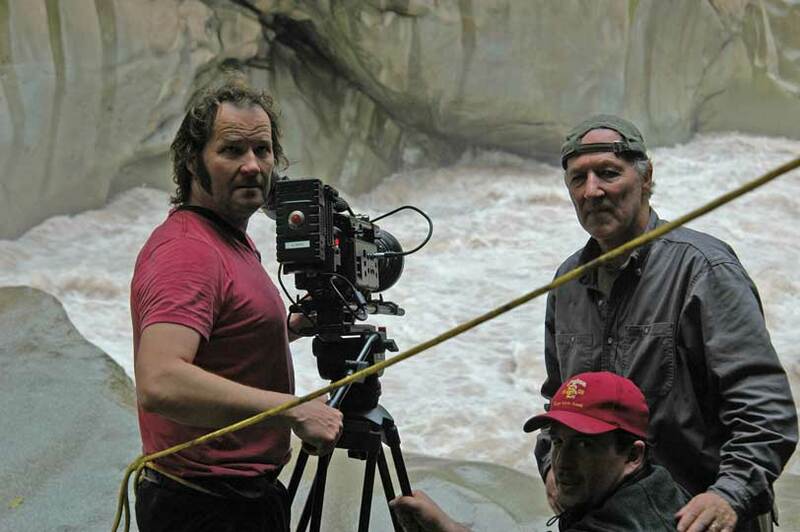 PLANET spoke with Herzog about the madness he attracts, his cinematic vision, and his relationship with Roger Ebert. Did you ever meet Mark Yavorsky? For as long as I’ve been aware that something called literature existed, people have been lamenting its demise. 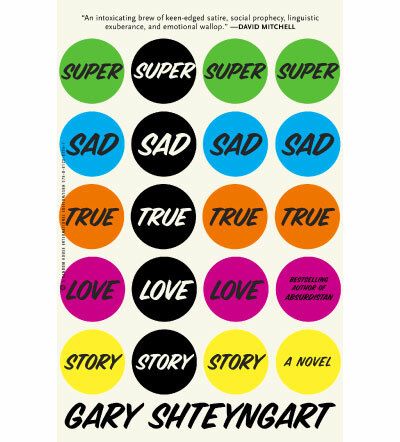 In Super Sad True Love Story, Gary Shteyngart’s new novel published this week by Random House, literature has already died what was, apparently, a rather quiet and unnoticed death. And, while the decline of print is one of the many subtly interwoven themes of the novel, I’ve never felt more hopeful about the future of literature than I did when I finished this book; the medium is safe, as long as novels like Super Sad True Love Story are being written. Set somewhere in what is often ominously and lazily referred to as the not-too-distant-future — which, of course, means that its true subject is the present — Super Sad True Love Story tracks the romance between Lenny Abramov and Eunice Park. The former is a middle-aged, balding depressive who is likely the last person on Earth who still owns, and for that matter reads, books. The latter is a 24-four-year-old recent graduate of Elderbird College (with a major in Images and a minor in Assertiveness), who is remarkably cute, often cruel, and ultimately sympathetic. Both are the children of immigrants, desperate to fulfill their parents expectations and desperate to overcome the insecurities that are the scars of their upbringing.